The air force of Nazi Germany, founded in 1919, with additional limits placed on the German civilian aircraft industry. The civilian limits were lifted by the 1926 Paris Air Agreement, the same year that several small airlines were consolidated into a national carrier: Lufthansa. By 1931 the German military operated four secret fighter squadrons and eight light-reconnaissance squadrons. From 1933 to 1935 pilots were trained in “sports clubs” and “glider clubs” run by the Nazi Party Air Corps (NSFK), the German counterpart of the Osoaviakhim in the Soviet Union. Nearly 20,000 boys and men were already trained by the time the existence of the Luftwaffe was officially announced by Adolf Hitler in 1935, with World War I fighter ace Hermann Göring at its head. The Luftwaffe never planned or developed a strategic bombing capability after its only strategic bombing advocate, and first chief of staff, died in 1935. Air doctrine was heavily influenced by the fact that the first air staff were recruited directly out of the Heer. That gave the Luftwaffe a lasting bias toward a ground force support and tactical role. As a result, in the five years before the war the Luftwaffe built up a complement of medium bombers, dive bombers, and heavy attack fighters, but eschewed design or production of strategic bombers. Even so, its prewar research was impressive. By 1939 the Germans were well ahead of their great rivals—the Royal Air Force (RAF), French Air Force or Armée de l’Air, and Red Army Air Force (VVS) —in navigation and target-finding aids, as well as ground-to-air controls and tactical integration with ground forces. However, technical leads were thrown away over time by incoherent weapons development procedures and political interference that led to faulty strategic decisions. As a result, Germany and its allies soon fell behind the RAF, USAAF, and VVS in air technology and production. Even in the case of jets, the one advanced area where the Germans kept pace with or bettered the RAF into 1945, development was handicapped by insistence by Adolf Hitler that all jets must be built with a bombing capability. A general trend toward comparative technological backwardness was reinforced by the fact that the Luftwaffe was a fully independent air force: it was not tied to the Heer or Kriegsmarine, although it retained a ground support bias all through the war. Also, it was the Nazi arm par excellence: it was led by Nazi-true believers, and its institutional ethos reflected the Nazi cult of heroic battle, rather than understanding that air superiority could be achieved and maintained only over time. Poor intelligence led the Luftwaffe to believe that the British aircraft industry was incapable of producing more than 3,000 aircraft in 1939–1940, when in fact the British permanently surpassed German aircraft production in late 1939. This false view of enemy capabilities caused the Luftwaffe to overestimate its own strength and to delay mass production of bombers and fighters until it was too late to make a strategic difference to the outcome of the war. At the start of FALL WEISS, the invasion of Poland in September 1939, the Luftwaffe had 4,036 operational frontline aircraft, of which 1,800 were medium or dive bombers. The Western Allies had 4,100 frontline planes. Luftwaffe command planned ahead based on an assumption that war would not break out in the West until 1942. That left it at 1936 levels of production when war actually came in September 1939, whereas Britain was ramping up to full wartime production. The initial advantage enjoyed by the Luftwaffe was, therefore, not as great as is often stated. It did lead, however, officially in 1935. The old German air force was abolished under terms of the Treaty of Versailles in making the changeover to more modern aircraft types. That gave German pilots an initial advantage in combat from 1939 to 1940, but one squandered during the first two years of the air war as German aircraft production sputtered along at barely more than peacetime levels. This went unnoticed by Hitler until 1941, when he finally intervened in aircraft production. But that was too late to eliminate growing shortfalls in aircraft in the Mediterranean and on the Eastern Front. Luftwaffe servicing and repair was also mismanaged and inadequate. The first significant military operations by the Luftwaffe came during the Spanish Civil War (1936–1939), as the mainstay of the Kondor Legion. Luftwaffe pilots engaged elements of the VVS in Spain and became infamous for the first terror bombing of civilians at Guernica. Next came an airlift of 2,000 troops into Austria during the Anschluss in 1938. A shock was felt by the Germans in Poland during FALL WEISS (1939), even though the Polish Air Force was wholly destroyed, much of it caught by surprise on the ground. Against a Polish defense mounted by 333 mostly obsolete planes, the Germans lost 285 aircraft destroyed and another 279 damaged. That should have served warning about the appalling attrition rates to come against major air forces, yet German production remained relatively low. During the Phoney War in the West over the winter of 1939–1940, Hitler directed the Luftwaffe to confine attacks to coastal shipping and interdiction of the RAF leaflet bombing campaign in the Ruhr. Just 258 aircraft were devoted to maritime patrol and interdiction duties at the start of the critical Battle of the Atlantic (1939– 1945). Yet, Göring vehemently opposed development of any naval aviation, fearing that senior Kriegsmarine commanders would pursued creation of a rival air force. This obstruction badly damaged German antishipping efforts at a time when RAF convoy defenses were still primitive. During FALL GELB (1940), it was principally the Heer that brought about German success. The Luftwaffe played an important supporting role, however, taking advantage of French dispersal and British reluctance to commit their full fighter force to the battle on the continent. As of May 10, 1940, the Luftwaffe thus enjoyed a local numerical advantage of 2,750 aircraft to 1,200 French aircraft and just 416 RAF planes. That enabled it to achieve air supremacy over active sectors, and to strafe and harass enemy columns and armor. In contrast, having squandered the winter with a leafleting campaign, the RAF dispersed its battle effort by bombing oil and rail targets in the Ruhr, attacks that contributed nothing to forestalling swift defeat on the ground in France. The Luftwaffe did not fare as well later that summer: having failed to develop a theory or capability for strategic bombing, the Luftwaffe was unprepared for the campaign asked of it during the Battle of Britain and the Blitz. The attrition rates suffered over Dunkirk and then again over Britain in the summer and early fall of 1940 were compounded by dispersal of squadrons to the Middle East and across the Balkans in 1941. All that meant that the Luftwaffe was smaller at the outset of BARBAROSSA in June 1941, than when it began FALL GELB in May 1940, despite fielding 1.7 million personnel. With total operational and tactical surprise achieved in the opening battles in the east, the Luftwaffe destroyed over 2,000 VVS planes in the first three days. After two weeks it had destroyed nearly 4,000 VVS planes. However, the Germans lost 550 aircraft in the same period. During 1942 the Soviet aircraft industry produced 25,000 aircraft, solely for use against the Germans. The VVS also took significant deliveries of Western fighters starting late in the year. Total Allied production that year was over 71,000 aircraft. By comparison, the Germans produced just 15,000 aircraft of all types, and spread them over three active fronts: North Africa and the Mediterranean, the German homeland, and the Eastern Front. The Luftwaffe upheld a wholly tactical support role in the east, while scrambling to develop or replace an air transport capacity it sorely lacked. Its loss rate was so high that it never fully replaced its losses. The Germans thus lost air superiority around Leningrad and Briansk over the course of 1942. At Kursk, 400 German aircraft faced over 2,000 VVS planes. By mid-1943 Soviet aircraft and pilots had closed the early technical and training gaps with their German counterparts. Luftwaffe crew skills deteriorated further as Göring and Hitler insisted on replacing combat losses by throwing trainer aircraft and instructors into active service. From mid-1943 many Luftwaffe fighter Geschwader were drawn away from the east, to be instead attrited by Western air forces in the Mediterranean, over France, and above Germany. The process began well before the Normandy campaign, as the Western Allies made engagement of Luftwaffe fighters and destruction of Germany’s fighter production a top priority of their Combined Bomber Offensive. The bulk of German fighters and anti-aircraft artillery, which consumed vast quantities of ammunition, were defending the Reich by September 1943. Hence, despite ramping up production to 25,000 aircraft in 1943, hardly any increase was experienced on the Eastern Front. German fighter losses in France and over Germany were so great that by mid-1944, despite greatly expanded production in the most efficient year of the war for the German aircraft industry, the Luftwaffe was no longer a major combat factor on the Eastern Front. Similarly, by mid-1944 half of all artillery tubes were located in the homeland, in use as anti-aircraft guns against Western Allied bomber streams. The Luftwaffe was on the defensive everywhere; airfields and factories were pounded by enemy air forces that seemed to have more and better planes every month. As pilot and crew casualties mounted, the Luftwaffe faced better and more experienced enemy pilots in the east as well as in the west. None of that prevented intense personal conflict within its top ranks, or with other armed services of the Wehrmacht. An extreme example was the suicide by Göring’s chief of staff in 1943, on grounds that he could no longer work with the erratic Reichsmarschall. Göring was indeed impossible to work with, a fact that severely retarded new aircraft designs and impeded production of older ones throughout the war. Hitler’s personal interventions and odd theories—for instance, in favor of jet bombers—further aggravated severe irrationalities in aircraft design and production schedules. This problem was eased somewhat from 1943 by the succession of Erhard Milch to the position of chief of staff. Milch was a technically competent man who greatly increased fighter production into 1944, when Albert Speer took over the aircraft industry and stretched production to even greater levels. Improved production was achieved by cutting back on bombers and transports, in favor of ramping up output of earlier model fighters that were already outclassed by new planes in all major enemy air forces. Without a strategic bomber force the Luftwaffe had been unable to punish Britain sufficiently to drive that country from the war in 1940. Germans now paid the price in blood and destroyed cities from 1943 to 1945, as the RAF and USAAF flew from Great Britain, and later also from Italy, to destroy dozens of German cities. Nor could the Germans knock out Soviet factories relocated far behind the combat lines, not even at the deepest extent of Wehrmacht penetration on the Eastern Front in 1942. Germany had devoted too much of its limited material and intellectual resources and war production to the Luftwaffe, without developing a decisive air weapon or a sufficient defense to successfully fend off superior and far more numerous enemy aircraft. A fundamental structural flaw was Luftwaffe political isolation within the Wehrmacht and the Nazi political system. The latter was a by-product of Göring’s chronic scheming, which was outmatched by Nazi rivals as his performance and that of the Luftwaffe declined in tandem. That left the Luftwaffe without a clientele base in the war economy or political support when Hitler turned against it, scapegoating the air force for Germany’s overall strategic failure. Unknown to the general German population, Luftwaffe thinking about civil defense dating to 1934 assumed that enemy bombers would always get through. With their usual ruthlessness, prewar Nazi and German state planners set out secret lists of cities to receive funds for priority defense and building of bomb shelters, based on their importance to the future war economy rather than exposure of citizens. They also prepared lists of German towns deemed “expendable.” When the bombers came, wave upon wave or in long streams, even in the priority cities there were never enough bomb shelters. The Party stepped in to build some shelters to fill the gap, but as sirens wailed terrified civilians were crammed into the few public shelters that existed. Those who could ran inside the huge and nearly invulnerable, but stifling, Flak towers (Flaktürme) in the few key cities that had them. Most just huddled in some nearby basement that was no protection against high explosive bombs. Worse, these basements were connected by tunnels so that people might run from cellar to cellar in front of the bombs, and poisonous carbon monoxide was channeled into cellars to silently kill those inside. Slave laborers, who comprised most foreigners in Germany by 1944, were provided no shelter whatever. They remained in the street when the bombs fell, and suffered commensurately enormous casualties. Most harmful to civilians was that civil air defense (“Zivlier Luftschutz”) was left to the Luftwaffe to organize as a military matter. The air force was too decentralized, grossly inefficient, and politically weakened late in the war to obtain or manage the men or material resources needed for the job. Instead, the Luftwaffe turned to women and the Hitler Jungend to crew its forests of anti-aircraft guns. These were concentrated in the Ruhr Valley and other industrial areas, then later around Berlin and other repeated urban targets of Allied air raids. By 1943 the Luftwaffe included hundreds of thousands of ground personnel engaged in air defense of the Reich, as Germany faced thousand bomber raids and round-the-clock bombing. Those facts were pointed to by Winston Churchill in 1943 when protesting directly to Stalin that the air campaign constituted an effective “second front,” well before the landings in Normandy. As German infantry losses mounted, pressure was brought to bear to surrender some of the Luftwaffe’s many nonflying personnel for the frontlines. Some 200,000 were transferred to the Heer in 1943. Göring’s waning political influence was still strong enough in 1944 to ensure that additional infantry units were formed as Luftwaffe field divisions that remained under his control. Most were armed into 1943 with captured Czech, French, or Soviet guns, along with various German PAK anti-aircraft guns and horse-towed anti-tank guns. They were not consistently organized until 1944, and were never effective or highly ranked in the Heer’s order of battle. In addition to erosion of Luftwaffe manpower on the ground, bomber pilots were transferred to fighter units without real success, and suffered high casualties. The effects of poor planning were felt across the board from the second half of 1944, as fighter production peaked, but there were not enough trained pilots to man new squadrons, while fuel and other supplies reached critically low levels by the autumn. Morale and performance thereafter plummeted in inverse relation to rising battle losses. 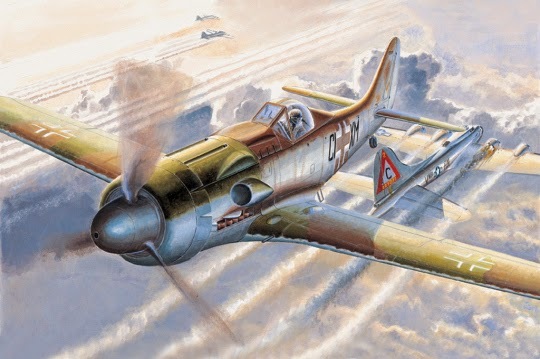 The Luftwaffe was progressively overmatched on all fronts from 1943: in Africa and Italy, over the Balkans, in the skies of France and Germany, and all along the Eastern Front. Each of the three main enemy air industries—the RAF, USAAF, and VVS—on its own outproduced Germany’s aircraft industry. 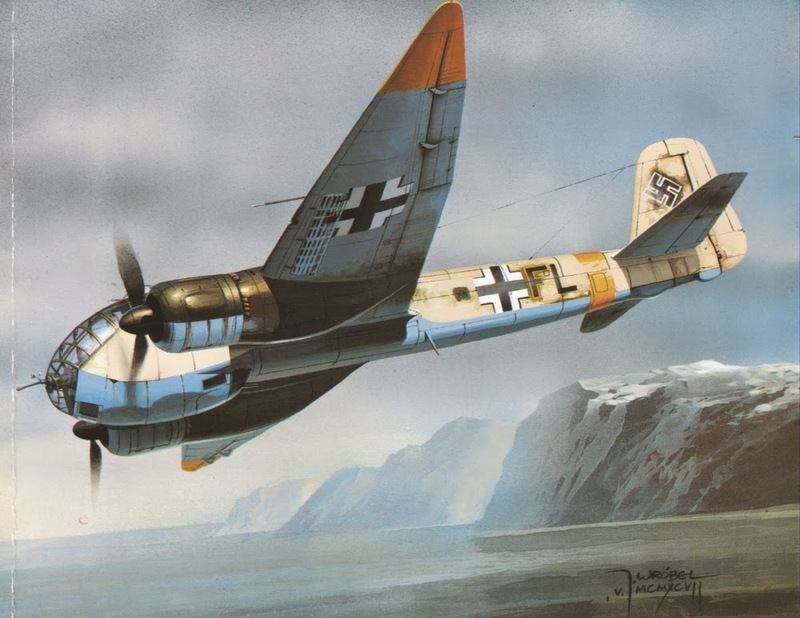 The Luftwaffe continued to produce many older types of outmoded fighters such as the Ju-88 and Me-109. Failure to stop enemy bombers meant that many of these planes were destroyed on the ground or in factories, so that the fighter loss rate reached an astonishing 73 percent of monthly strength throughout 1944, the peak months of fighter production. The Luftwaffe was the first air force to deploy operational jets, but it produced these in paltry numbers and far too late in the war to have any effect on its outcome. Senior Luftwaffe and political leadership also delayed development of jets by arguing over whether they should be used primarily as bombers or fighters, with Hitler insisting on the former. That meant that those aircraft actually produced had serious design flaws. In any case, there was hardly fuel for aircraft of any kind by early 1945, as the skies over Germany grew dark with enemy heavy bomber fleets and “Jabos” hunted ground forces and Panzers at will. Toward the end, Hitler took more personal charge of the air war, as he did all aspects of the German war effort. His limited knowledge and bias toward steering resources to the Heer, matched with absolute personal conviction about his own military insights—though these seldom rose above the level of vulgar misunderstanding—exacerbated extant problems in the organization of the Luftwaffe. For instance, he insisted that anti-aircraft guns would suffice to defend cities from bombers and never sanctioned a system of air defense-in-depth. He also utterly failed to appreciate that the air war could be won only by constant and routine daily operations. Instead, he resented what he saw as “hoarding” of reserves, then flung these away in grand but futile spectaculars such as the Ardennes offensive. He also wasted precious resources on supposed Wunderwaffen. Hitler’s growing disgust with Luftwaffe failures led to an order in 1944 to disband the air force and replace it with a huge anti-aircraft army to defend Germany. Only Göring’s residual call on past Nazi Party and personal glories in the first years of the war prevented this bizarre Führer order from being carried out. The defeat of the Luftwaffe was total at all levels, in tandem with the final and utter military rout of Nazi Germany. Its failure was exacerbated by Göring’s and Hitler’s personal idiosyncracies and interference, but it had much deeper structural causes. The German air force failed to develop a strong bomber arm, leading to a fundamental imbalance that was never corrected; it fell behind in the “battle of the beams” and radar war; it worked on too many and too radical new designs even as it delayed full war production until it was too late to correct for the growing Allied lead; it lost control of training even as it received more fighters, with the end result that pilot wastage rose dramatically in 1944. Suggested Reading: M. Cooper, The German Air Force: Anatomy of Failure (1981); John Killen, The Luftwaffe: A History (1967; 2003); Williamson Murray, Luftwaffe (1985); Richard Overy, Göring: The Iron Man (1984).